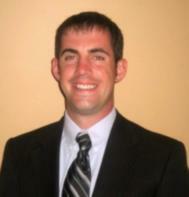 Bryan Flynn's Central Massachusetts Mortgage Blog: Great news real estate agents!!! Nehemiah won its litigation against HUD!!! Well for all that have not heard, down-payment assistance is still available.....FOR NOW. HUD wanted to ban these, but Nehemiah filed suited and won a summary judgement to allow them to continue to offer this program. However, Congress is still working on a FHA Reform Bill which could possible put an end for the DPA programs, altogether. So for all of us in declining markets who can't find 100% financing options for our clients through conventional programs, our last alternative is FHA with down payment assistance to get into a home with no money down.....good luck to all. I personally don't think a buyer should be able to purchase a home for no money down. Make the buyer save a minimum of 5% for the down payment. I'm sure most agents will disagree with me, but I think the buyer has to have some cash in the deal. If I were making a loan on a property with my own money, I would require a down payment from the borrower. I just received an email from a loan officer I periodically work with and he mentioned that ... was glad to see it! Even though I've not done one of these deals in over a year, it's good to know it is still an option when needed. I would rather the buyer have that cash and keep it in the bank for home repairs and life unknowns, but I do agree people should have some sort of savings before they get into homeownership. This is why clients need to meet with a qualified mortgage person. By this i mean, someone who actually understands finance. I do a lot of 100% financing for my clients. but i also teach my clients how they can leverage there mortgage by using different options to increase their savings. There are many good options for mortgages that they can use to increase their savings. I also arrange a consultation with a Financial adviser and A CPA for all my client who do not have one. (or is peak toheirs before we do a loan)Its not always about rate but the program that the client is put into to maximise their Net Worth. I can say this because i also hold several different type Securities licences. I don t practice with them because i feel it is a conflict of interest. So i refer to people i trust to do the right thing. Right on Chris, a mortgage is the ultimate debt instrument to build your client's wealth, most think of debts and assets independently, when used strategically together based on the individual's goals and risk tolerance and rate does not matter as much, but the end goal of tax minimization along with wealth creation is most important. I am not a fan of the Nehemiah deals! I feel that they contributed to the unsustainable build up in our real estate markets. An 80K home gets pumped up to cover closing costs, seller contribution and all the neightbors automatically assume the homes are really all selling for 90K. I wish these things had just gone away! Sometimes the seller had to pay it all..it leaves a very bad taste in your mouth if you are the listing agent on a home when these low ball gimmie gimmie offers come in! There is a major difference in writing these loans and someone coming in on your house with one!